JOOMFEEN powerful USB wall charger with 2 pack nylon braided lightning cable. 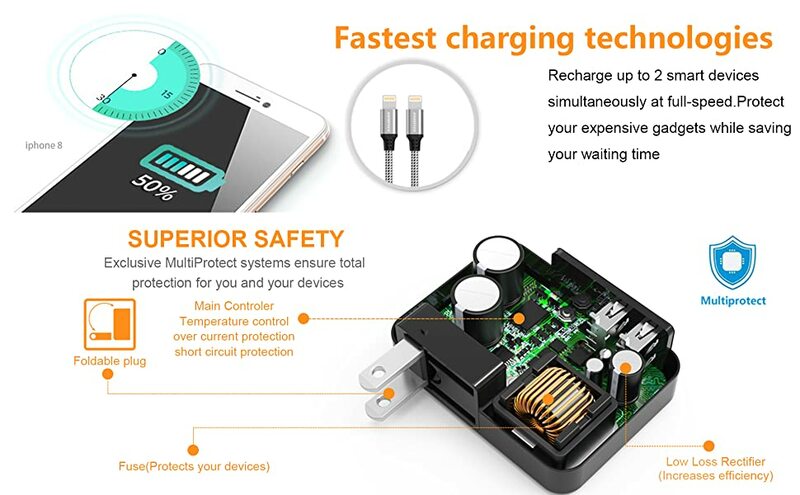 Fastest phone and tablet charging intelligently technologies. Robust exterior design,Premium internal components, Amazing design for small object,For your better experience. If you're always looking for a plug to charge your phone, our JOOMFEEN'S charger is the perfect solution for you! 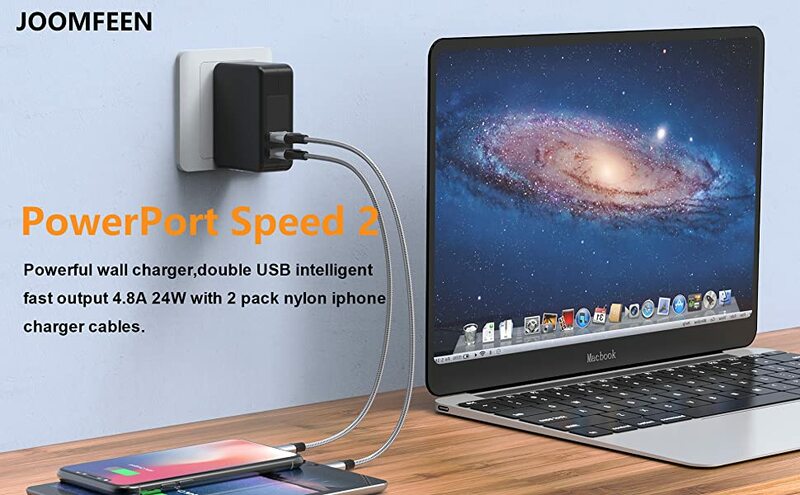 Now you can charge two electronic devices using just one plug! It's easy, fast and can maximize the charging efficiency.Protect your expensive gadgets while saving your waiting time. For safety please do not charge attempt to your device using an old faulty wall outlet. Please do not use this USB wall charger to charge a device who's input power exceeds rating power 5V/2.4A. After I had ordered and received this adpapter, I was informed by the travel company that they would supply us with 2 free generic power adapters. Regretting my decision to buy the Joomfeen, I decided to take all three anyway. Turned out to be a great decision, the first lasted one day and the second was DOA. The Joomfeen works perfectly and turned out to be a great buy!